Hamsterley Forest is the largest area of commercial plantation in County Durham, and is situated in the valley of the Bedburn Beck, which drains the eastern tip of the upland ridge between Teesdale and Weardale. Dating from the 1920s, the forest is primarily non-native Sitka Spruce, and as any summer visitor will discover, it generates dense swarms of midges which provide a feast for the resident bats. 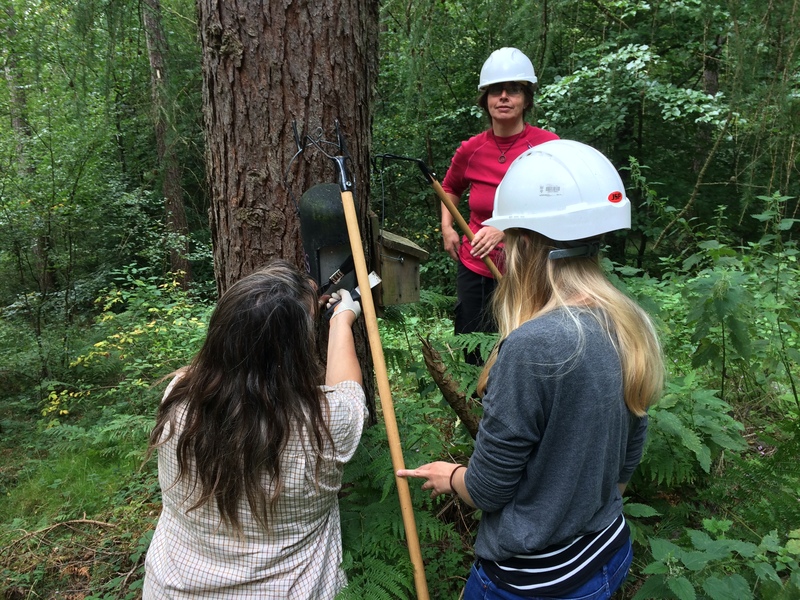 Durham Bat Group collaborates with the Forestry Commission to maintain and monitor 100 bat boxes within the forest. The group organises half a dozen or so box inspection visits each year, invariably meeting on a Sunday at 10 AM and taking around 4 hours to examine all 100 boxes, though it can take longer if there are lots of bats. Inspections carried out between March and November generally discover bats, with up to five species sometimes being seen in a single day. Species recorded using Hamsterley bat boxes are Soprano Pipistrelle (many), Common Pipistrelle (frequent), Brown Long-eared Bat (regular), Natterer's Bat (regular), Noctule and Whiskered Bat (both occasional). DNA evidence suggests that Brandt's Bat also make use of the boxes and there are some past records of Daubenton's Bat. 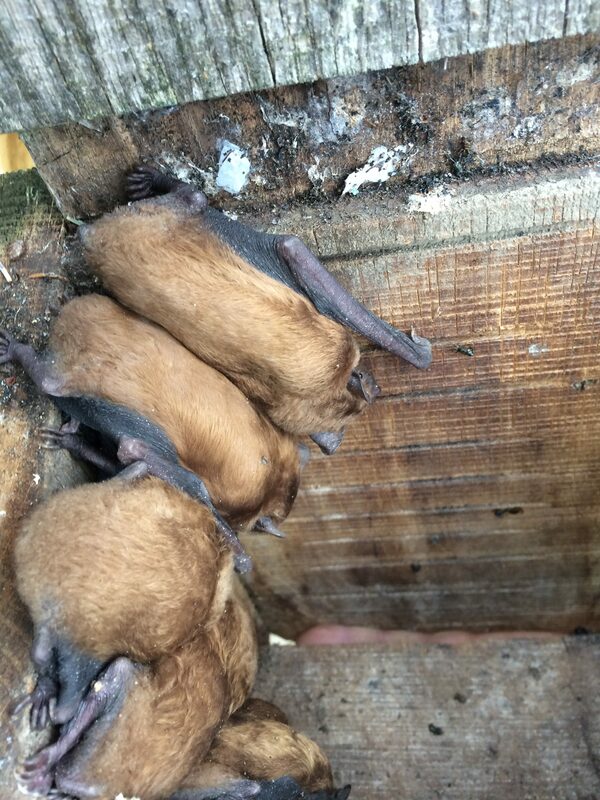 We still regularly encounter Natterer's Bats that were originally ringed at the forest in 2003, and sometimes bats with consecutively numbered rings are found in the same box - still together after more than a decade. 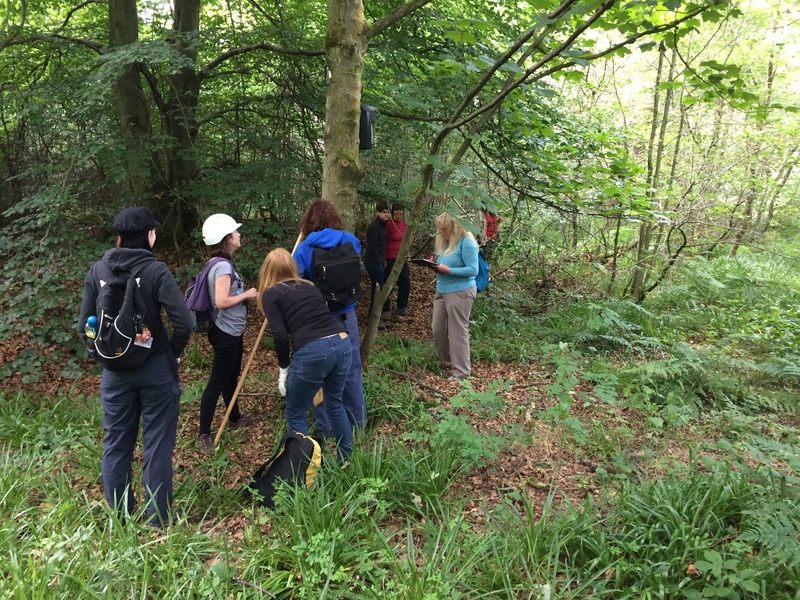 The group also has also put up bat boxes at several other locations in the county, including Pelaw Wood near Durham and at Washington Wildfowl Refuge, and has further locations in the pipeline. Watch this space!